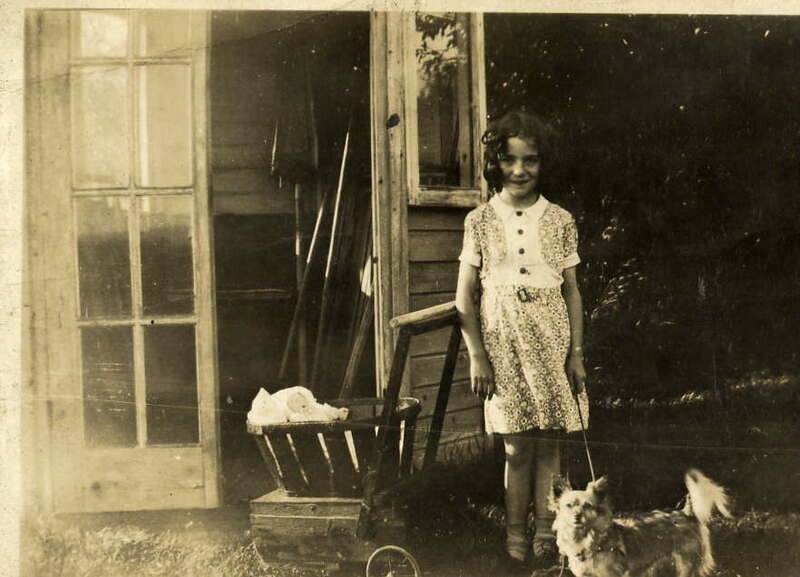 In April 1942, when I was 7, shortly after my mother had died, my father took me to live with Miss Mabel Lovell in Rayleigh. She was an elderly spinster who had known my mother when we lived in Southend. She was very kind to me and looked after me as well as she could although she was very detached and undemonstrative. On alternate week-ends during my time with her, which lasted until about July 1943, we took the train to Billericay to stay with her brother and sister, Ethel and George Lovell, who lived at what is now 2 Highland Grove. This house seemed very grand. It was large, rambling, cluttered and untidy but very welcoming. The gardens were huge, surrounding the house on 3 sides and extending for a very long way alongside the railway. The gardens close to the house had been well laid out but they were only lightly maintained probably because the occupants were by then quite elderly and there was no staff or help to be had. On one side there was a pond which must have been very elegant in its heyday. There were plenty of fruit-bearing trees including a William pear which produced very luscious fruit. The long thin garden by the railway was divided into several parts, each a bit lower and wilder than the last. The first layer included a summer-house, the next had been in a pattern of flower-beds. The end one was quite swampy although George did grow potatoes in that part. At Christmas 1942 they invited 2 cockney girls to spend the festive season with them thinking, I suppose, that I would enjoy their company. We detested each other on sight and I was very glad when they went. George made me a dolls’ pram out of a fruit basket and Ethel provided a doll. I could tell many stories about my visits. I wonder whether anyone can tell me more about the house and its occupants. I lost touch with them when I left Rayleigh.